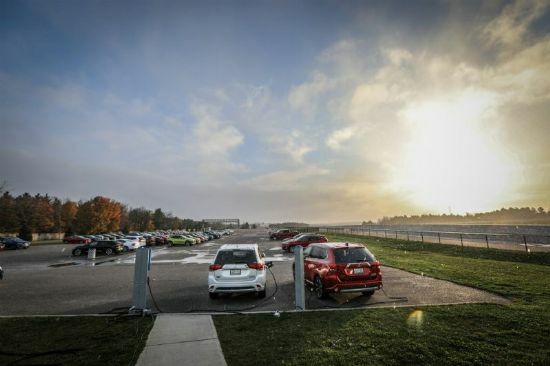 The Auto Journalists Association of Canada (AJAC) car of the year TestFest took place at Mosport Raceway, in Ontario, from October 24th to 26th, 2018. About 80 AJAC voting journalists attended the three day event to drive the latest models from vehicle manufacturers. Their votes on the 47 different models on hand, as well as the vehicles they have driven in the past year, will determine which vehicles will be picked for the 2019 Canadian Car of the Year and Truck of the Year. Following are driving impressions of the most significant vehicles available at the TestFest this year, presented in the order in which they were driven. The Insight was unveiled at the Detroit show last January and is just becoming available in November 2018. Like the Civic it is based on, the Insight is a conventional four-door sedan. It has a similar silhouette to the Civic but is a much cleaner styling job. Like the Civic, the Insight’s cabin is roomy, comfortable and is constructed from attractive components. Controls are easy enough to deal with except for the infotainment screen, which, despite the addition of an on-off-volume knob, is still frustrating. Unlike some hybrids, battery packaging has not impacted trunk space, which is ample. Power stems from a 1.5L gasoline four and an electric motor that combine to produce 151 total system horsepower that reaches the front wheels via a CVT. The car is very quiet when driven gently or while cruising, but even modest acceleration causes a lot of droning from under the hood. Like the Civic, the Insight has a carefully honed ride-handling balance and precise steering. A number of AJAC scribes questioned the need for the Insight instead of a return of the Civic hybrid, but other makers, like Hyundai with the Ioniq or Toyota with the Prius, have done well with hybrid specific models, so why not Honda? Toyota has retired both the Corolla iM name used in North America and the Auris moniker employed elsewhere, in favour of the name Corolla Hatchback. Mated to a CVT, the Corolla’s 168 horsepower 2L four accelerates briskly, but is noisy except for when at a steady speed. Road and wind noise are also both more prominent than expected. Toyota has achieved a good ride-handling compromise for the Corolla Hatchback but its steering is both light and lacking in feel. The Corolla’s cabin is stylish and assembled from attractive components, including soft-touch surfaces on the dash and the front doors. The infotainment screen at the top centre of the dashboard is easy to scan and use, but the colours used for the main gauges make them hard to read. Seating is comfortable but rear seat legroom is tight for this class and while the hatchback tail offers some versatility, the space available with the rear seat arrayed to take passengers is woefully small. The Forte’s 147 horsepower is ably matched to Kia’s new CVT to deliver smooth, brisk acceleration. The Forte’s steering lacks much road feel but is nicely weighted and precise. The Forte has a well-honed ride-handling balance and the car has a well-sorted, mature feel. Forte drivers face precisely marked gauges, an easily manipulated infotainment screen and brilliantly simple climate controls. Seating is comfortable front and rear and rear seat legroom is, if not generous, at least class average. Good trunk space. Cabin materials are very attractive with lots of soft-touch surfaces. Though it looks very familiar to the JK Wrangler that debuted for 2007, the JL Wrangler is new from the ground up. What is noticeable to all but the most casual observer is that the JL looks much more carefully built and more “engineered” than its predecessor. Powered by a 3.6L V6 sending power to the wheels via an eight-speed automatic transmission, the JL accelerates with some authority but the powertrain is noisy, which sums up the whole vehicle, as noise from the wind, road and suspension are all prominent. The JL’s tremendous off-road capabilities easily dismissed the challenging TestFest off-road course, but its on-road ride, handling and steering reflect the focussed off-road nature of the vehicle. Given the way it drives, it is surprising that this vehicle has proved to be popular as everyday transport for typical families. Like the exterior, the Wrangler’s cabin is, with plenty of soft-touch surfaces and more precise assembly, looks more carefully finished than before. Once you get in, which is a struggle, even with running boards. The JL’s seats are comfortable, there is sufficient legroom for passengers in the back seat and cargo capacity is decent. Despite its tall hatchback appearance, Jaguar’s first all-electric vehicle is classified as a crossover. Exterior styling, with subtle echoes of the 1968 Jaguar XJ6, is sleek. The cabin uses Jaguar’s traditional leather, wood and chrome materials but employs them in a refreshing, modern way. Most control elements are handled by various screens and surfaces, which took a long time to boot up on the early production example provided for the TestFest. Seating is comfortable front and rear, but rear seat legroom is more adequate than generous for what is a large and tall car. There is a generous trunk at the rear of the car and a small storage compartment under the hood. The 394 horsepower from the 90 kWh battery pack furnishes blistering performance from any speed, and the all-wheel drive system puts the power down to the ground without drama. Steering, braking, ride and handling are all beyond competent and the car is a pleasure to drive. The car is mechanically quiet but road noise is surprisingly high for a car bracketing the $100,000 price point. Jaguar states that i-Pace battery range is up to 377 kilometres under ideal conditions. The i-Pace is the first in a spate of new electric vehicles from European luxury brands, and it will be interesting to see if any of them can break the stranglehold that Tesla has on the carriage class market segment in Canada. Based on the so-called “Giorgio” platform that it shares with its showroom mate, the Giulia, the Stelvio is the first crossover vehicle marked by Alfa-Romeo in North America. The Stelvio’s 2L turbo four delivers brisk performance and is a smooth, tuneful unit that is much quieter than the same engine in the Giulia. Though slightly reluctant to kick down a gear, the eight-speed automatic transmission works very well. Steering effort is light, but is precise, accurate and the car holds its line well. Ride and handling are ably reconciled and braking is strong. The Stelvio conquered the TestFest off-road track with aplomb. The Stelvio’s cabin looks very Italian, materials are very attractive for the most part, and seating is very comfortable, front and rear. That said, the car is a touch narrow inside and rear seat legroom is sufficient, rather than generous. The trunk is spacious enough for this type of vehicle. In a luxury crossover mad world, it will be interesting to watch whether the Stelvio can sell in sufficient numbers to firmly establish the Alfa-Romeo brand in Canada. The third-generation RDX, powered by a turbocharged 2L four sending power to all four wheels via Acura’s Super Handling All Wheel Drive (Sh-AWD) system, returns to the pattern set by the first iteration of the nameplate. Shared with the Honda Accord, the RDX’s 2L four is quick off the mark and never flags as it gains speed. The vocal engine sounds compelling at high revs when accelerating hard, but the noise is omnipresent at all speeds and eventually becomes tiresome. The constant exhaust noise will surely be a deal breaker for a number of buyers and unlike some cars with configurable noise profiles, the RDX has just the one. While the RDX will prove too sporty for some drivers, it does deliver crisp handling, accurate steering and a firmly compliant ride. With interesting shapes, unique sew patterns and near sumptuous materials, the cabin of the RDX is a good place to spend time in. The seats are comfortable, there is plenty of legroom front and rear and a spacious trunk as well. While it looks very similar to its predecessor inside and out, the new Sierra (and its twin, the Chevrolet Silverado) is all new. The Denali’s 6.2L V8 moves the truck with authority, but with perhaps an excess of vocal enthusiasm. Power is funnelled to the ground via a 10-speed automatic transmission that shifts smoothly enough but perhaps proves you can have too many gears, especially as the tuneful exhaust sonically accentuates each gear change. The Sierra’s nicely weighted steering is accurate and considering it is a pickup truck with a live rear axle, it serves up a reasonable ride. Braking is strong enough but braking effort is very high, the pedal has a wooden feel and is too close to the driver for comfort. The Sierra easily conquered the pickup specific off-road course created for the TestFest. The Sierra Denali’s cabin boasts every possible comfort and convenience feature, but its cabin design and materials, which seemed very luxurious in 2013, are little changed for the new truck and seem a bit pedestrian compared with the plush look inside the new Ram 1500. That said, all controls are straightforward and easy to use and both rows of seats are very comfortable with abundant legroom. Flimsy rear seat headrests, a drawback on the last GM pickup platform, are now substantial. Interestingly, a Chevrolet Silverado LTZ, powered by the same 6.2L V8 and 10-speed automatic transmission powertrain combo as the Denali, was smoother and quieter than its platform mate. In addition, a cabin that seemed underwhelming on the high-end Denali, was more than attractive enough in the mainstream LTZ trim. Unlike GM’s new pickups which, to the casual observer, looks little different than their predecessors, the new Ram is noticeably changed. The massive, visually intimidating bulk of the previous Ram has been replaced by a trim, sleek appearance. With a massive, Tesla-like screen in the middle of the dash, countless features and supple leather seats, the Limited trim example available at the TestFest should be called, the “Imperial.” Seating is very comfortable and the amount of available cabin space is astounding. Powered by FCA’s 5.7L “Hemi” V8, the Ram gathers speed quickly and cruises quietly, but like many pickups, exhaust noise is a bit intrusive when running hard. The eight-speed automatic ably harnesses the V8’s power. Equipped with air suspension, the Ram at the TestFest delivered a supple ride for a pickup and remained unflappable on the pickup truck off-road course created for the TestFest. Though it has never been a market success in Canada, the Avalon has always been a very competent conveyance. Still stuck in the virtually non-existent market niche between a top-spec Camry and the Lexus ES350, the new Avalon will likely not take the market by storm, as the prestige of the Lexus badge is a big a draw for many buyers. As for the car itself, the Avalon Limited driven at the TestFest was a delight. Its cabin is a symphony of sumptuous leather, matte soft-touch surfaces and genuine wood, all fashioned into shapes that border on the avant-garde. Crisply marked gauges, a large info screen and logical controls make life easy for the driver. Seating is very supportive front and rear and rear seat legroom is impressive. One journalist wanted to grab the keys to the Avalon and set off for Florida, convinced it would be a peerless long-distance ride. With so many luxury cars adopting four-cylinder turbo engines for packaging and government fuel test cycle score reasons, the Avalon has retained its 3.5L V6, which is delightfully refined in normal driving but emits a feral wail when pushed hard. The conventional eight speed automatic transmission in the Avalon is smooth and responsive. While the steering is a bit light, it holds its line well and does have some heft as it is moved off the centre position. The ride-handling compromise Toyota arrived at for the Avalon combines ride compliance and handling confidence is a way that will please most buyers. Closely related to the new Avalon, the ES350 is also all-new for 2019. The cabin design of the F Sport 2 model driven was carefully assembled but is not overtly luxurious compared with the sumptuous cabin of the Avalon Limited. 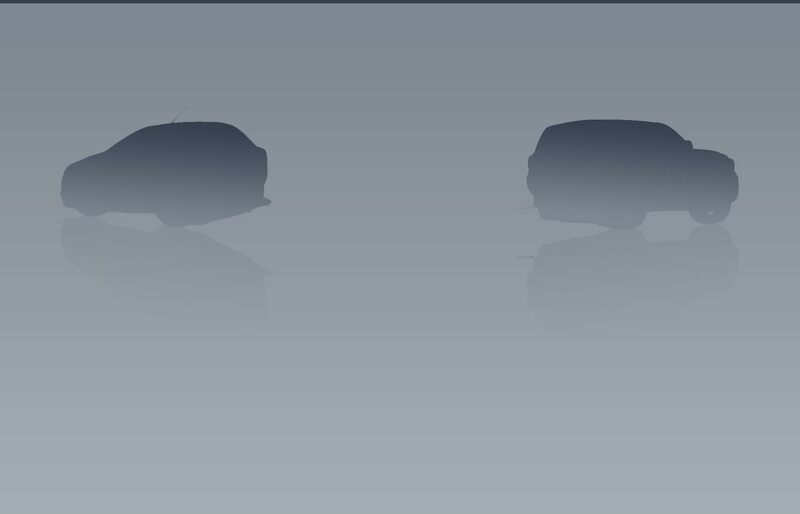 Primarily black trim makes the cabin look a bit grim and the single gauge pod facing the driver is not that attractive. The top centre of the dash is dominated by a large info screen, which is controlled but an infuriating touch-pad that is too distracting to be used in a car. While the front seating position seems tighter than in the Avalon, there is abundant legroom up front and in the rear, and the seats are very comfortable. On the road, the 3.5L V6 powering the ES350 F Sport 2 is even smoother and quieter than the same unit in the Avalon and also takes on a delicious bark when pushed. The eight-speed automatic transmission promptly performs any task asked of it. In Sport + mode, the car feels very energetic, lively and engaging.